Ndokwa Peace Concert Saga: FUNS National Executives Comr Chunuwe Emmanuel and Comr Chidukwa Ifeayi Tackles Blogger for Ethical Negligence. RE: Ndokwa Peace Concert Tensioned as Federated Union of Ndokwa Students Denies Sponsorship. 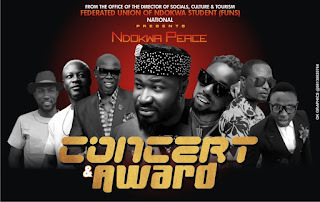 "Earlier today, Executives of the The Federated Union of Ndokwa Students made contact with me concerning the article; Ndokwa Peace Concert Tensioned as Federated Union of Ndokwa Students Denies Sponsorship." 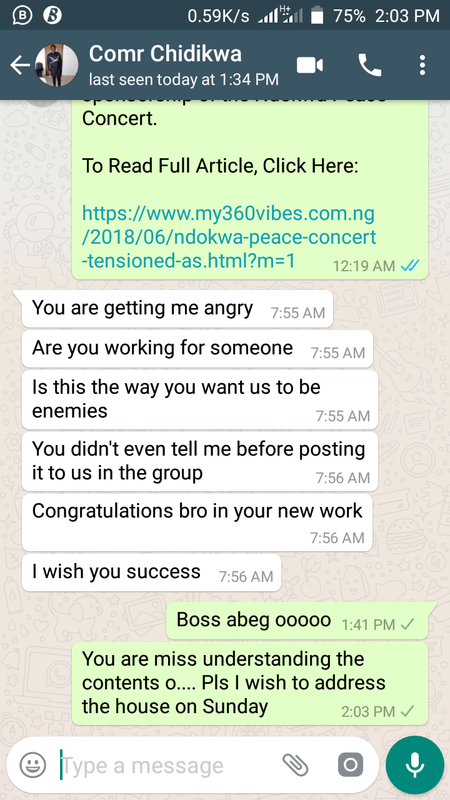 The conversation which lasted about 9mins, stressed out ethical negligence as the said article on Ndokwa Peace Concert lacks factual information. "I have received call from the office of the Director of Social, Federated Union of Ndokwa Students Comr Chunuwe Emmanuel in respect the the above saga. After a formal introduction, Comr Chunuwe then pointed that the publication is not factual as we have neglected the ethical standard practices as our claims has no detailed facts. He went on to notify me the griviance of the sponsors, whom are working in consolidation with Federated Union of Ndokwa Students, Ndokwa Entertainers and Kariwaka TV. Adding that the saga as published is a one sided story and as has thus drawn nagetive view of the event. In the course of the conversation, Comr Chinuewerem added that the body demands a review of said saga otherwise, will file a case in favour of the above claims. In my defense, I expressed my deepest apology in good faith and futher explained my motives acknowledging my faults. I also, informed Comr Chunuwe of my declaration which started my intention was to promote the event. 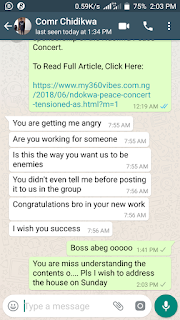 I am a Comr Chidike Edmond Ojuyenum and www.my360vibes.com.ng is solely owned and managed by me since established April 1st 2018 as a professional blog platforms. I affirm that the disclaimer as said on the above saga is against ethical standards as the report is bases on a one sided testament. However, the controversy is as a result of a miss understanding of facts as provided. 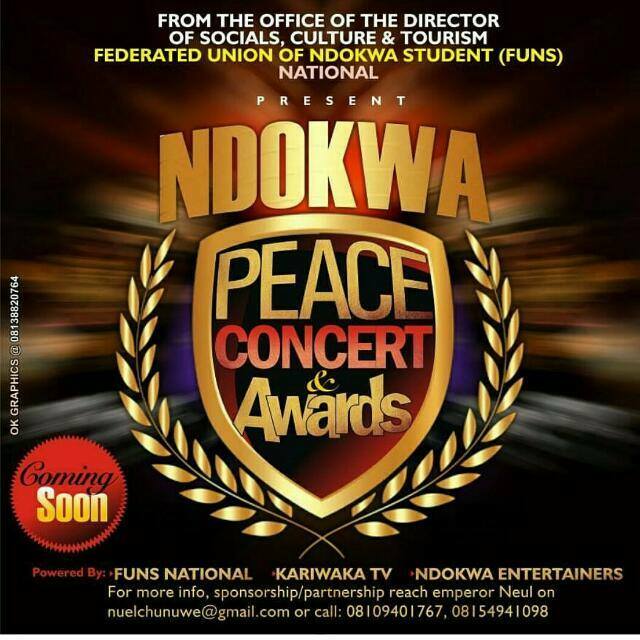 The Ndokwa Peace Concert is a real event and I am affiliated to its sponsors. 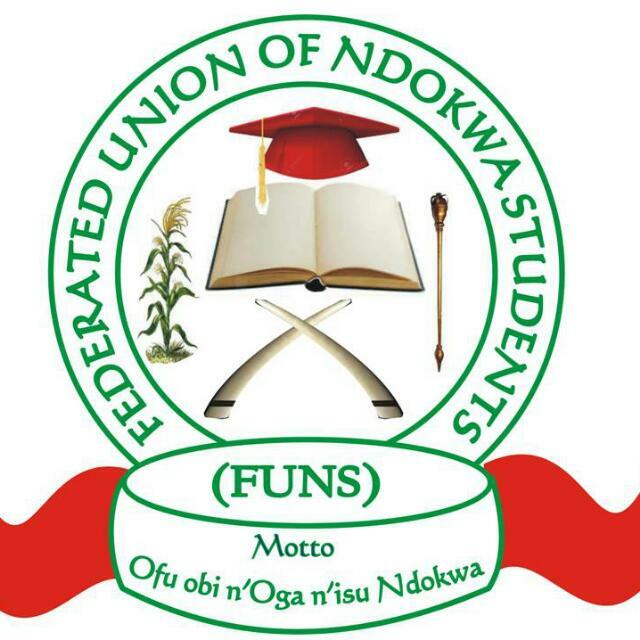 I am a Comrade to The Federated Union of Ndokwa Students, as elected Provost 2016/2017, Auchi Polytechnic Chapter and I am still very much a comrade to the Union even at the National Level. 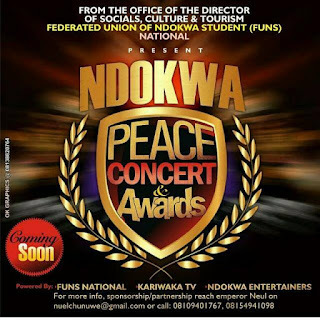 My activity as a blogger and a Native of Abbi (Ndokwa West LGA) concerning the Ndokwa Peace Concert is to promote the event and give it publicity to the best of my ability to attract public intrest. These were my intentions and it is the sole reason I was added as a blogger to Ndokwa Peace Concert media team by my colleague Ndokwa Entertainers. In other to achieve this, I have been contacting all organism in respect to the event as said in my initial article. As evidenced in my post, Comr Chidukwa Ifeayi and Comr Solomon amongst others provided us with information which helped my publication. However, due to minute presentation of fact, the Director of Publicity, Federated Union of Ndokwa Students; Comr Chidukwa Ifeayi's may have been miss interpreted. Which he called me this morning to clear the facts, he added; The Federated Union of Ndokwa Students is an active organism to the Ndokwa Peace Concert. However, the event is a portfolio from the office of the Director of Social. Again, the Ndokwa Peace Concert saga is meant to draw public attention to the event as I am obligated to promote the event. My team and I are very well involved in the event. In addition to this affirmation, I will be facing the executives of Federated Union of Ndokwa Students this sunday in Kwale to formally address the house and officially make my intention to actively work the council known. I apologize if to my co-comrade whom may have miss interpreted my article due to its headline.